Introducing the new Marine Star featuring a three-hand automatic movement showcased in an open aperture. 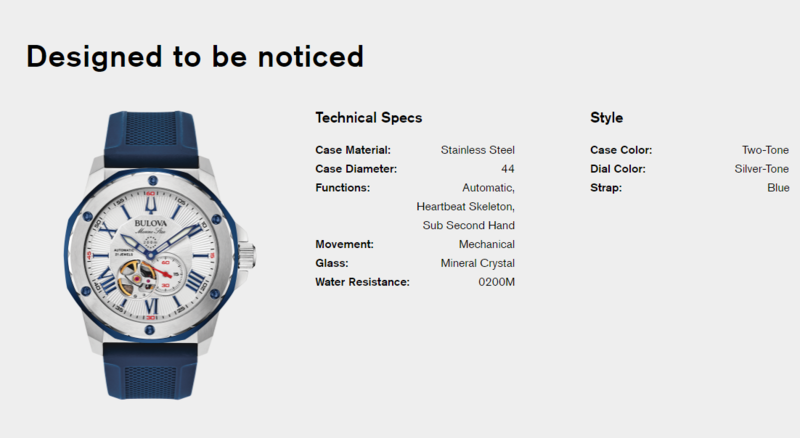 Silver tone stainless steel case with blue tone outer ring. Silver white dial with flat mineral crystal. Blue textured silicone strap with a contrasting red underside. Water resistance to 200 meters.